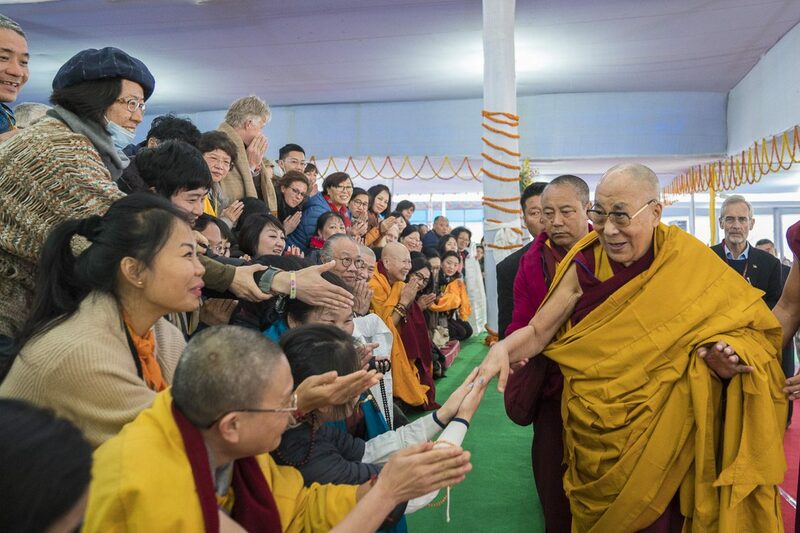 (TibetanReview.net, Jan23, 2018) – The Dalai Lama gave religious teachings especially for Buddhists from mainland China at Bodh Gaya, Buddhism’s holiest site situated the India state of Bihar, over Jan 21-23. He noted that he had been giving religious teachings annually to visitors from Taiwan and, since few years ago, to groups from mainland China over the last three years or so. And he said he was now to give teachings on Diamond Cutter Sutra (Dorjee Chodpa) and then Heart Sutra to some mainland Chinese. He said this in preparation for the teaching on Diamond Cutter Sutra on Jan 21 after give the Solitary Hero Vajra initiation, giving a brief explanatory initiation to the devotees. The main teaching took place over the following two days.